Team UnLimbited Receive Filament Donation ! Today Team UnLimbited received a surprise donation of ColorFabb filament from their 7th recipient Abbi Jillians. Stephen and Myself can't thank Abbi and her helping hand's fund raising efforts enough for this generous donation; it will be put to good use on both R&D prints and recipient prints in the future ! Abbi and her mum Julie have been working hard to raise awareness of 3D printed prosthetics, their educational and recipient value. 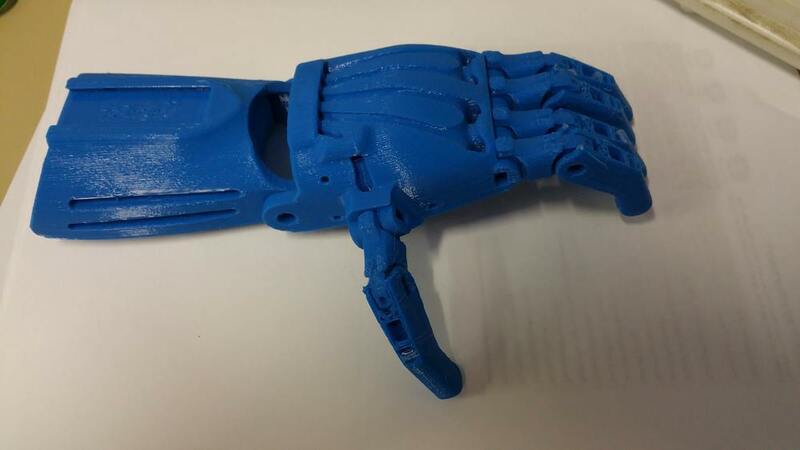 Their fundraising effort has seen them raise enough funds to achieve the 1st school I know of in the UK to have a 3D printer installed specifically for them to become e-NABLE hand producers! Team UnLimbited have been and will continue to provide technical support and advice for Tavistock Community Primary School as they work on this exciting development, the wider e-NABLE volunteer team are also supporting Julie in her fantastic efforts. The educational value in 3D printing across the curriculum is MASSIVE, if we want a strong economy in the FUTURE we need to be teaching this new technology to our kids TODAY. This is such a fantastic opportunity for children to be involved in; least of all the IT, Maths, Craft and Design elements of the curriculum it will teach children in an engaging way, but also the outcome of this is potential to improve someones life at the same time. Using this technology for education and e-NABLE is big thing with our volunteers across the pond and its great to see that starting to happen here in the UK. Make sure to Check out Abbi's Helping Hand's Facebook page, and also to sign up to her campaign for 3D printers in schools on the curriculum to help mirror what e-NABLE are establishing in America. Dad, Husband, IT Guru and e-NABLE Volunteer.